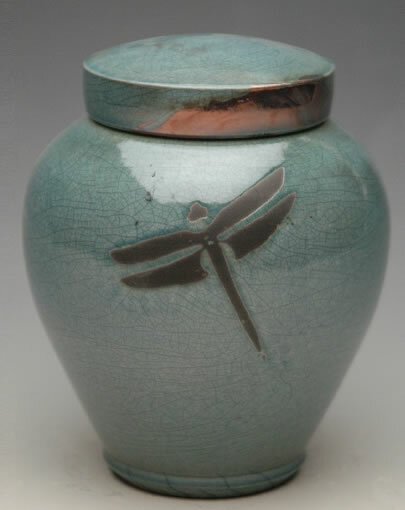 This beautiful and elegant Dragonfly Raku Cremation urn (Aqua Luster Glaze Shown in large photo - other glazes shown below) is professionally hand-crafted using the ancient Japenese Raku firing process. 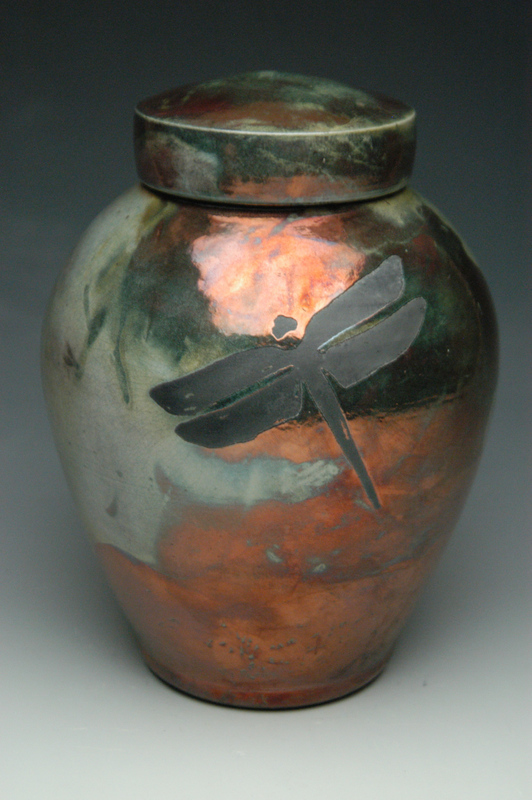 The shiny, glazed surface shows the unique blues, greens, and copper tones created by the aqua luster finish and the firing process. 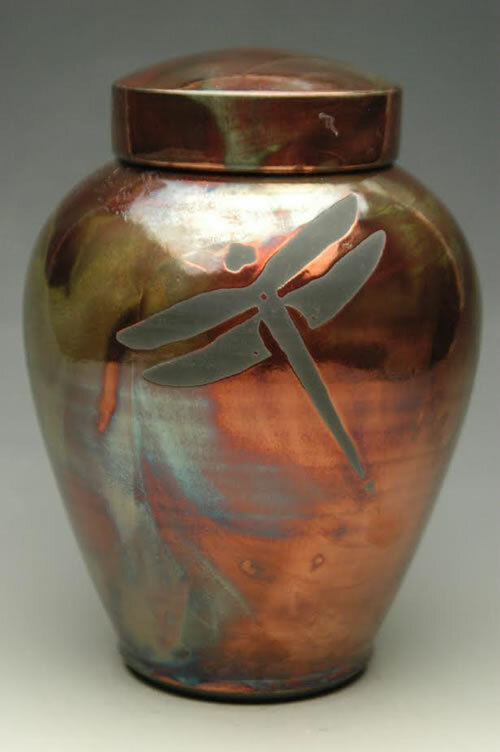 Please note that each urn will be different in coloring, with some urns having more blues with or without copper coloring and other urns having more greens with or without copper coloring. The Lemon Luster glaze tends to have more golds, yellows, and greens, with or without copper coloring. 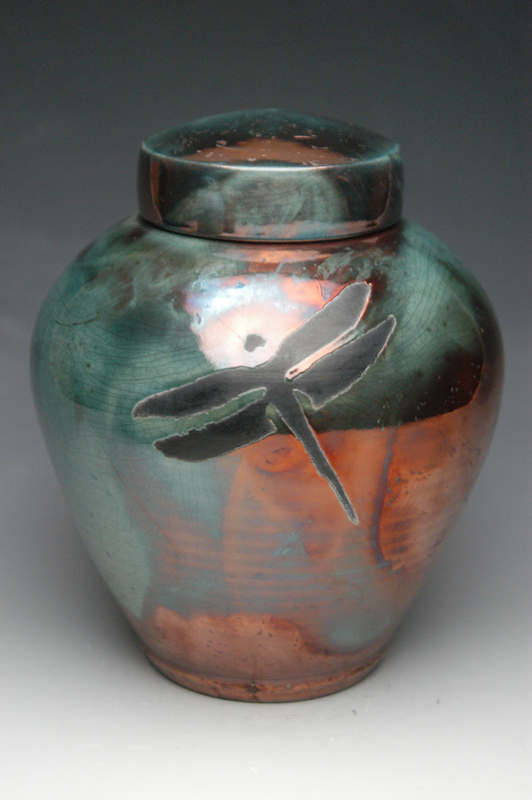 We have attached several photos of each glaze color to show some of the different ways the urns will turn out. 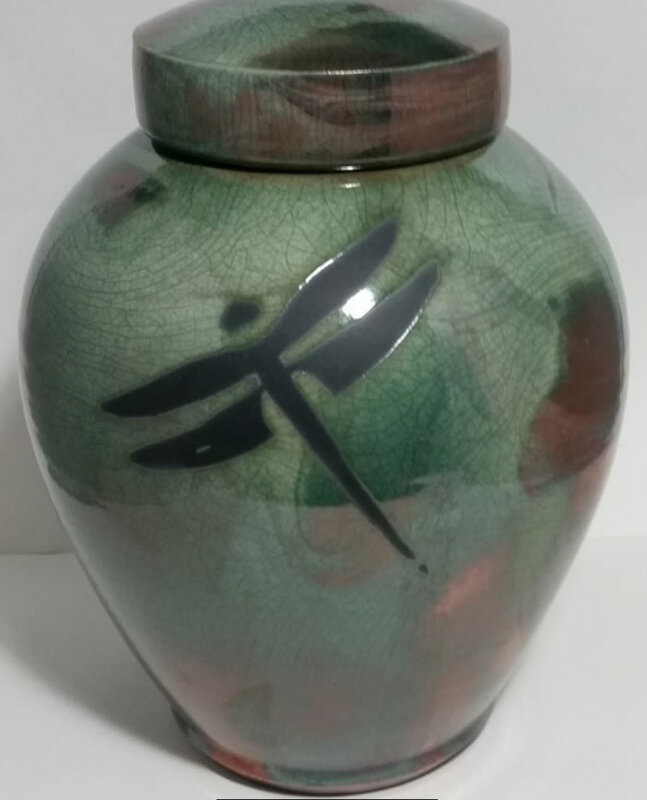 The contemporary design makes this a versatile decorative piece of ceramic memorial art that will fit in any home. 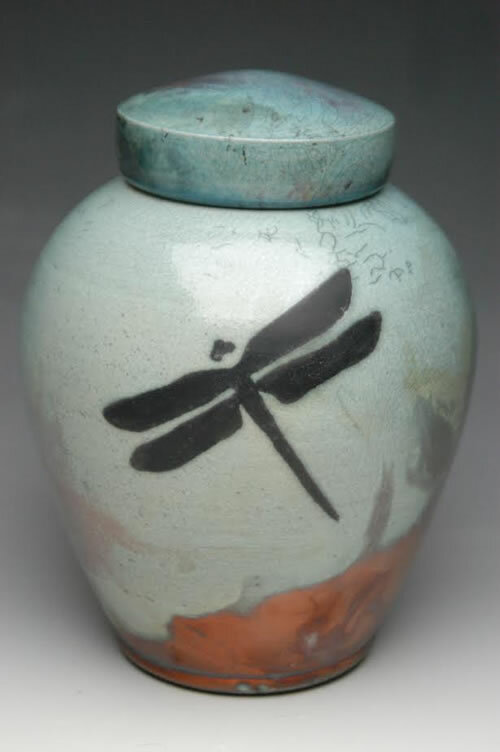 The process of Raku firing differs from other firing methods because the pots are removed from the kiln at their maximum temperature and placed in a bed of straw or leaves in an air-tight container. The plant material bursts into flame and the reduction chamber is sealed. 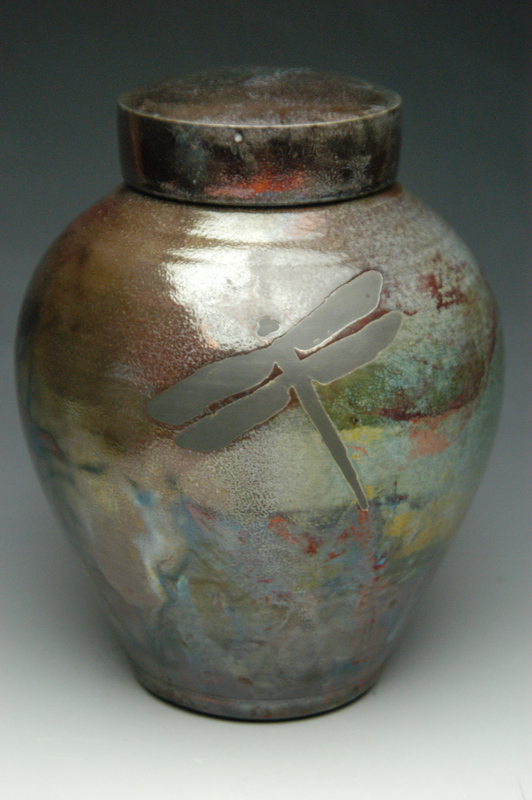 The flames, smoke, and oxygen starved atmosphere transform the glazed surface to the unique colors and textures of Raku. 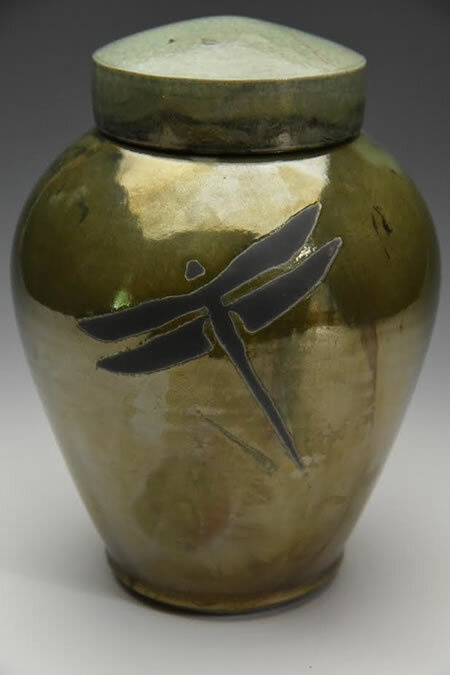 The Dragonfly Urn is one of our most popular raku cremation urns. 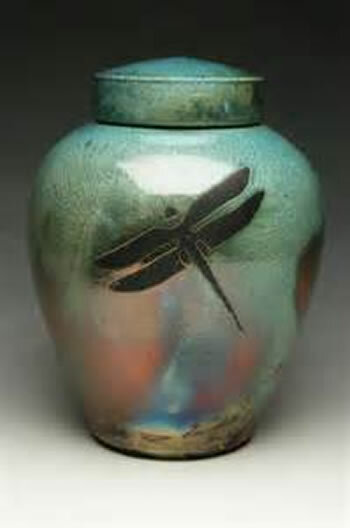 Each Raku urn is a totally unique piece of art; no two will ever be alike. 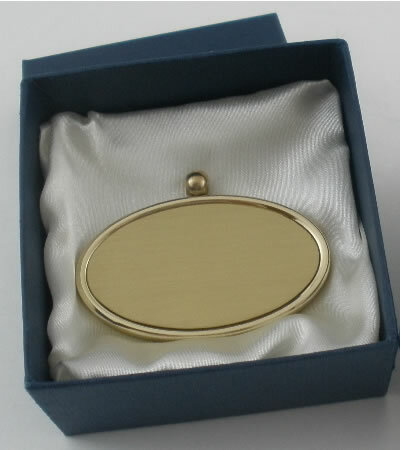 Please note that the engraved nameplate can take a day or two for engraving. 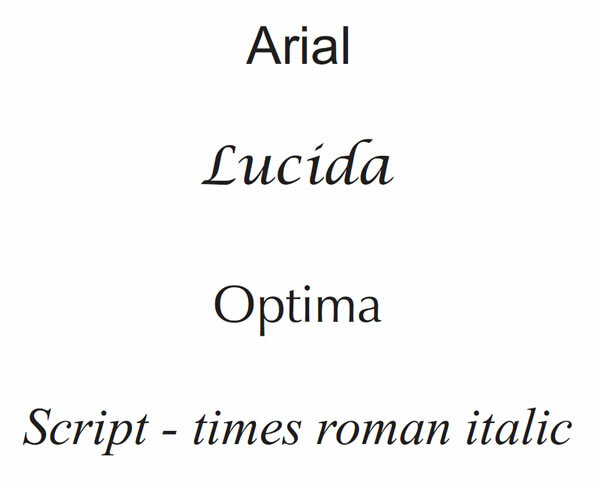 We ship the nameplates with USPS. Measures approximately 10 - 10 1/2 inches high x 7 - 7 1/2 inches wide. 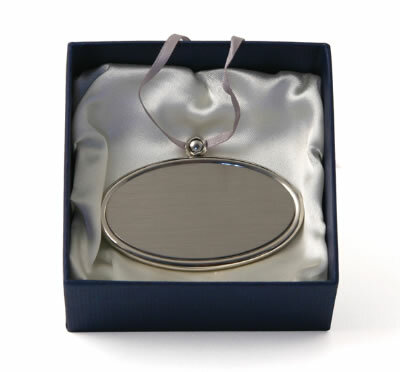 Measures approximately 10 1/2 - 11 1/2 inches high x 8 - 8 1/2 inches wide. Weights are Dimensional used for Shipping. 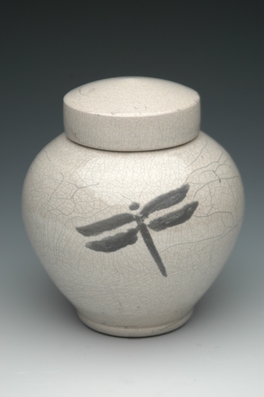 Standard and large ceramic urns weigh about 5-6 lbs.